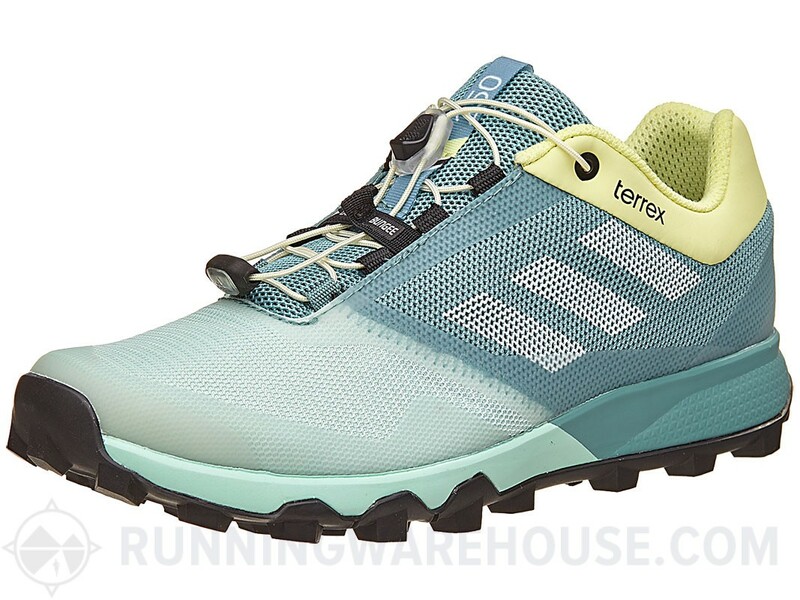 The adidas Terrex Trailmaker is a new model in the middle of the ever expanding and improving adidas Outdoor trail lineup. At 10.4 oz/295 g (11.4 oz for my size 10), it is no lightweight speedster, yet it feels significantly lighter than the numbers indicate. Given the high level of protection, cushion, support and traction this shoe offers, the slight bit of added weight is well worth it. 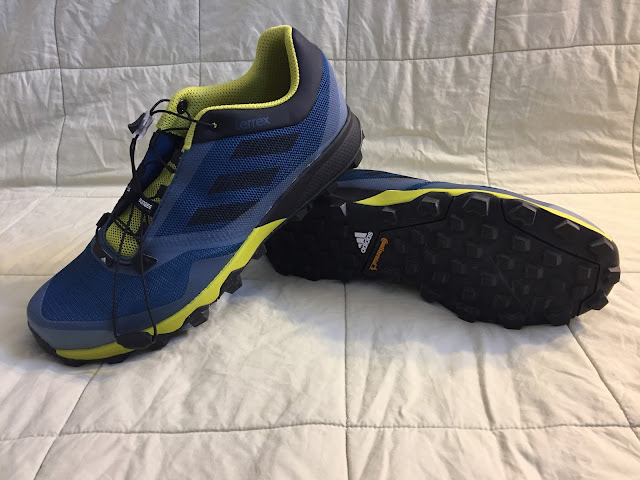 The Trailmaker is a true all mountain, all terrain shoe for long runs and adventures and plenty of versatility. The upper consists of a lightweight, airy, dual layer mesh with abrasion resistant weldings. The weldings/overlays are minimal, but the efficient structure of the upper provides good foot hold and stability. The toe bumper is a hardened rubber material, which is thick and sturdy enough to ward off the majority of rock stubs and elegantly blends with the upper. 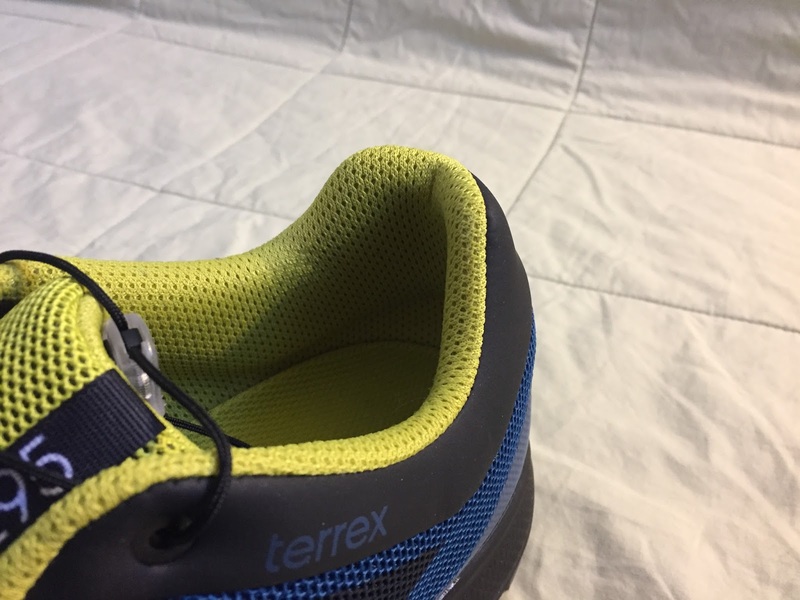 The heel counter is protectively solid, yet not overbuilt, with moderate padding. Heel hold is secure. 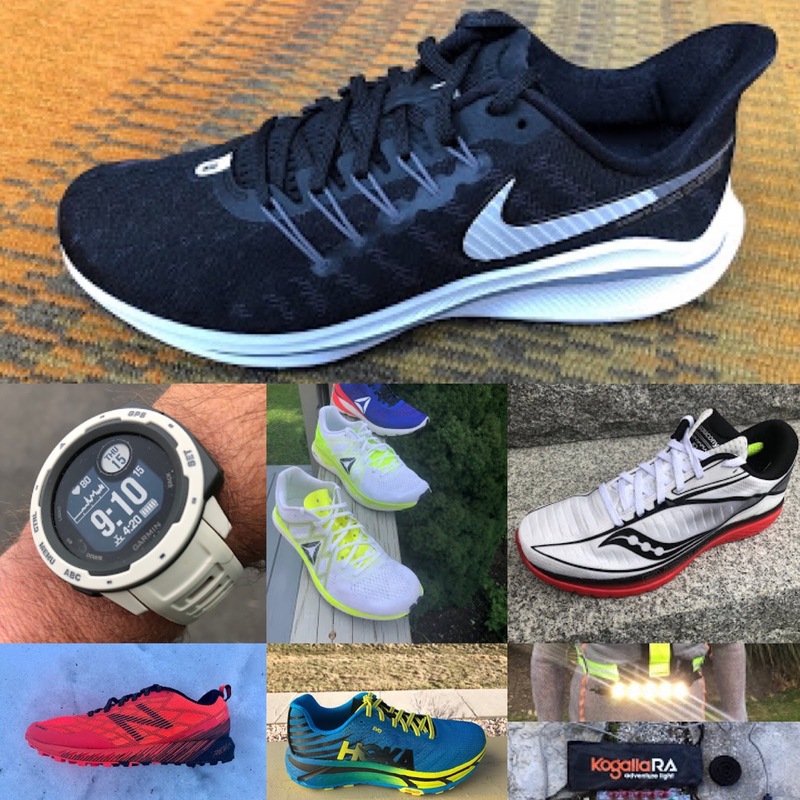 A deeper look inside the heel counter. The tongue is moderately padded and I do feel awkward pressure from the thin, rigid quick laces, but this sensation of pressure lessened a bit over time (or I just got used to it). I notice it more when sitting still or just lacing them up before a run, but while running, forgot about it for the most part. The tongue is not gusseted, which since it has become so common, it stands out to me when it is not. I find a gusseted tongue more of a handy feature, aiding in the ease of shoe entry, general shoe comfort/fit and it is nice not to have to align a tongue. The quick laces work well, then snug up well and stay snug, but I really wish adidas would add a lace garage. You can cut the excess lace down, which I have done before, but it is very easy to cut them too short and it is a bit of a pain. The Trailmaker has somewhat of a straight look to it from above. Fit is true to size and generally good for my low volume foot, but I find midfoot lockdown to be a little less than I would hope/expect. 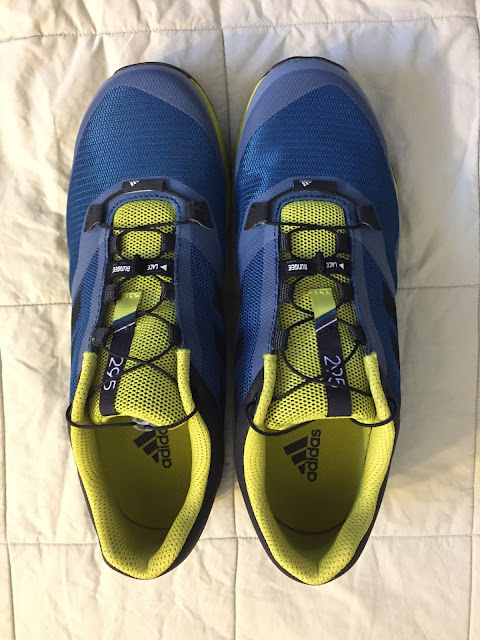 I suspect that some of that sensation stems from the upper being a bit bulky on the medial side around the middle of the shoe, even when the laces are as snug as I can tolerate. In this photo, some of that bulkiness of the medial upper can be seen. The midsole is made of adidas Adiprene + EVA, which I found to be firm and responsive. 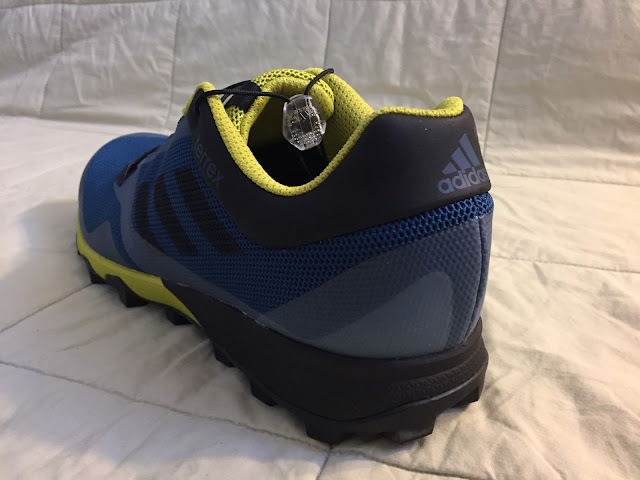 The Trailmaker, despite not being race ready light, can truly hold it's own when pushed, as it feels quick and agile underfoot, yet with enough cushion for longer distances. I felt comfortable running on hard, rocky technical surfaces, as well as short stretches of pavement. 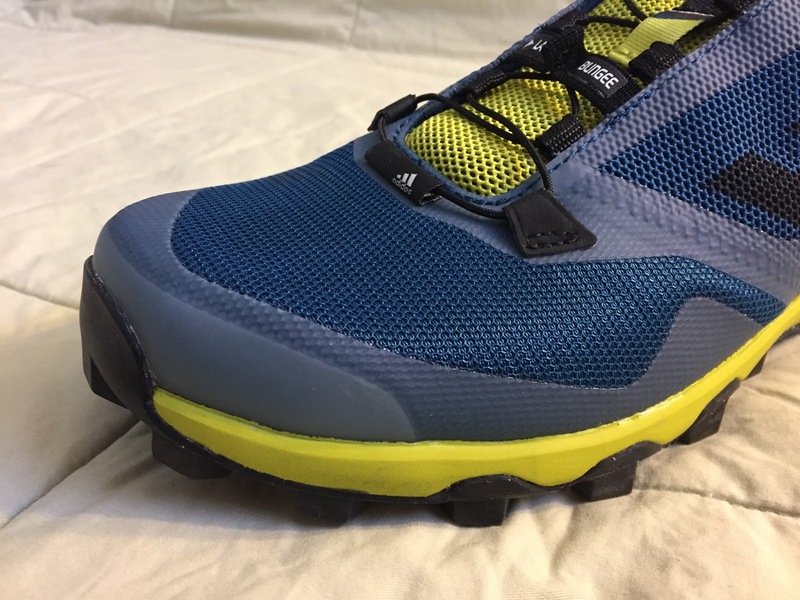 Without a doubt, my favorite aspect of the Trailmaker is the Continental rubber outsole. Modeled after the Continental Baron mountain bike tire, the 4mm lugs are toothy and aggressive, but not so much so as to prevent the shoe from being versatile enough to run well on buffed out, harder surfaces and pavement. 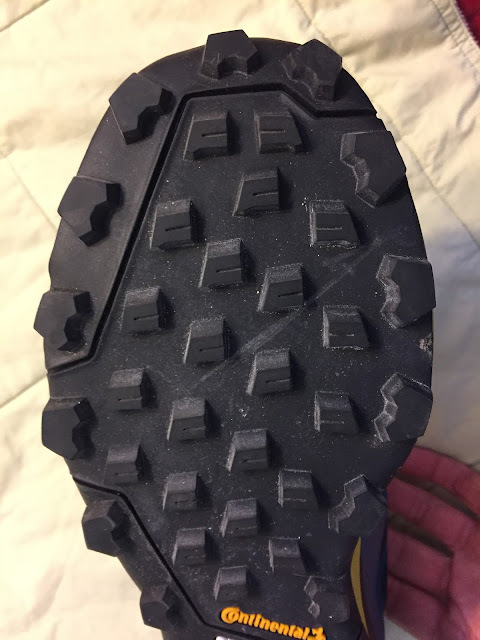 The Trailmaker grabs extremely well off trail in steep terrain, steep dirt, mud, snow and the like and the sticky rubber composition does an amazing job clinging to angled rock, wet or dry and even performs surprisingly well on ice (within reason of course). 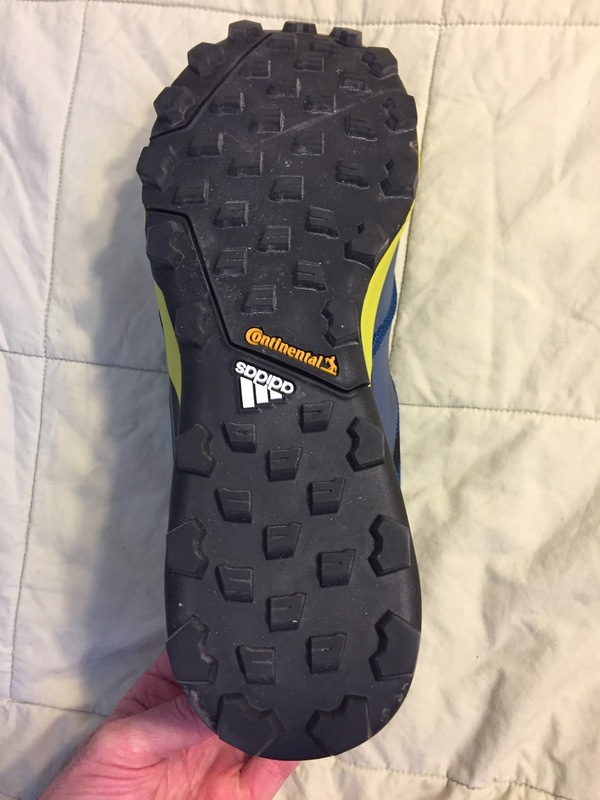 I found the outsole of the Trailmaker to have comparable grip to one of my favorite shoes last year, the adidas X-King (my RTR review here), a shoe which opened my eyes to new levels of traction, and great traction is essential given the very rocky, steep and slippery trails I most often run. 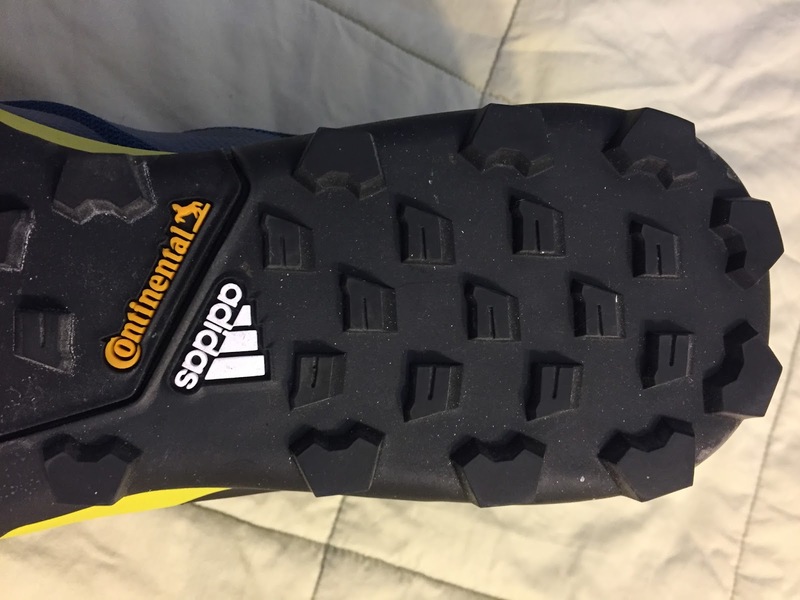 The outsole is somewhat narrow, but I found no issues with stability. If anything, it helped with agility and sure footedness. Rock protection is excellent. The lugs, though blocky, are somewhat directional, yet very effective. Ultimately, I am quite impressed with the Trailmaker. Upon first glance, it reminded me a bit of the adidas Agravic (my RTR review here), but the Trailmaker is lighter, more forgiving and feels much more like a running shoe, vs. the Agravic that leans more toward the casual running/hiking end of the spectrum. 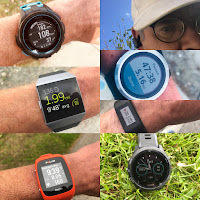 I really appreciate the versatility of the Trailmaker, it has enough protection and cushion for all day adventures, fast running or slow running and performs well on just about any terrain, but truly excels when the going gets rough. It feels light on the foot, is responsive and can easily pull double duty as a racer or trainer. My primary reservation is the added bulk of the medial side mid upper, causing the fit not to be as precise as I would expect or hope. That said, it was rarely an issue and was only mildly noticeable descending really steep sections of trail, steep off trail, steep side hilling and trying to maintain speed around tight turns. Even then, movement inside the shoe was minimal, predictable and definitely something I can work with. 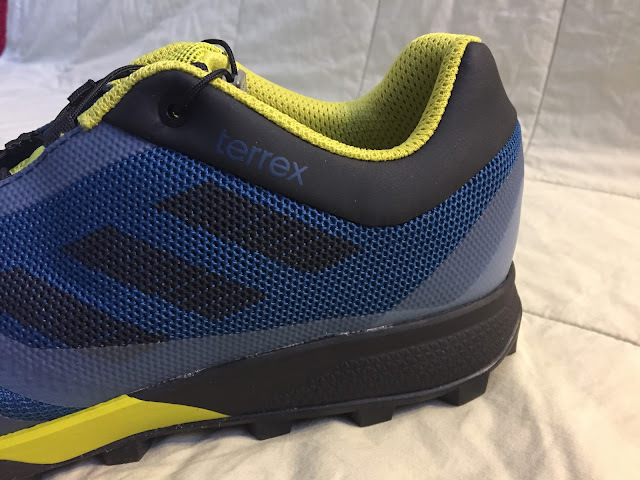 adidas Terrex Trailmaker vs. adidas Terrex X King (my RTR review here) - The Trailmaker is lighter, more responsive and feels like a faster, more agile shoe. 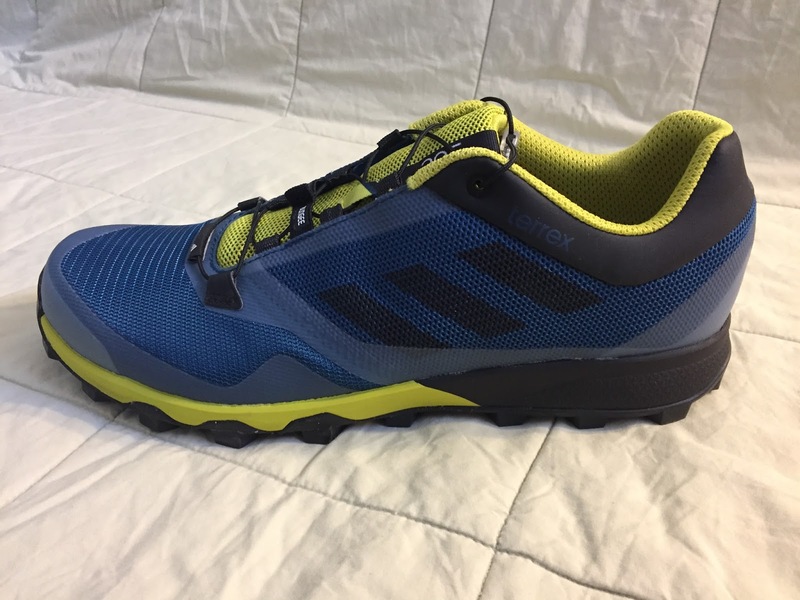 Outsole grip is comparable, the X King may have an edge in looser terrain, but the Trailmaker outsole is more versatile overall. 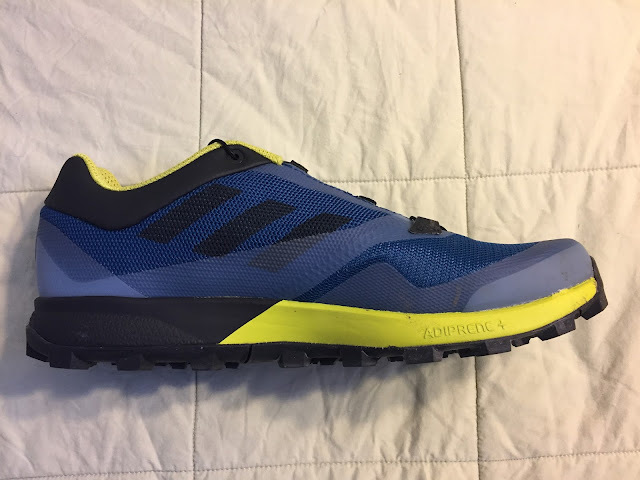 adidas Terrex Trailmaker vs. Saucony Peregrine 7 (my RTR review here) - Both are excellent all mountain race/training shoes. 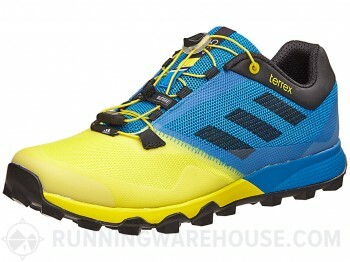 The Peregrine may fit a wider range of feet and is lighter, but the Trailmaker has better grip in the wet and on rock. 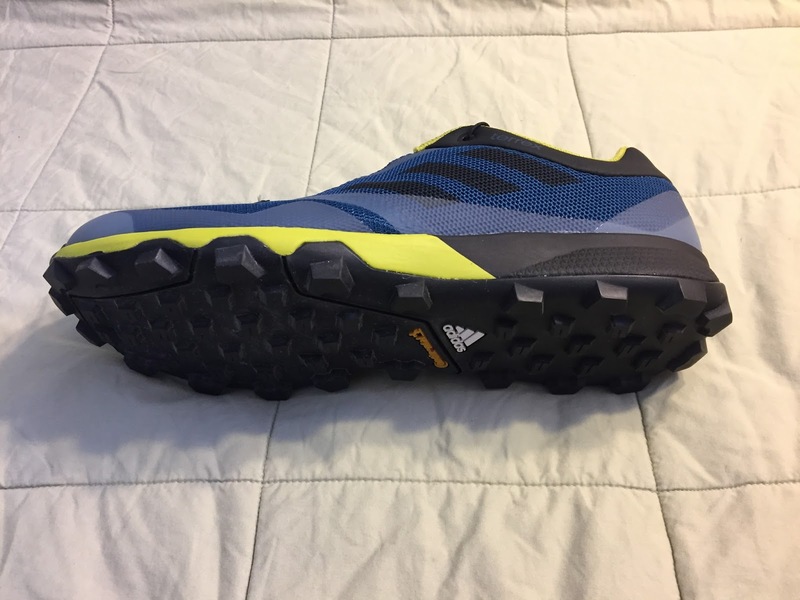 adidas Terrex Trailmaker vs. adidas Terrex Agravic (RTR review here) - They both have excellent traction and protection and are good for all day adventures in the mountains, but the Trailmaker is lighter, more responsive and a lot more Agile, where the Agravic is more suited to slower speeds. adidas Terrex Trailmaker vs. La Sportiva Akasha (RTR review here) - very close in weight, the Trailmaker has a little better traction in a wider variety of conditions, but I find the Akasha upper to be more secure and has better cushion for longer distances, making it a bit more versatile in my opinion. The Trailmaker was provided at no charge. The opinions herein are entirely the author's. I bought these shoes myself and I've been running in them for about 5 months now. I agree with your review. The grip is extremely good. Being av heavy runner (90 kg), I feel the cushioning is a bit on the minimal side though. On the negative, I've experienced some issues related to stability while descending on technical trails. 2 ancle sprains while running with these so far(something I've almost never experienced before). I would categorize my feet as medium width. This is may be related to the the design of the upper (as you point out). 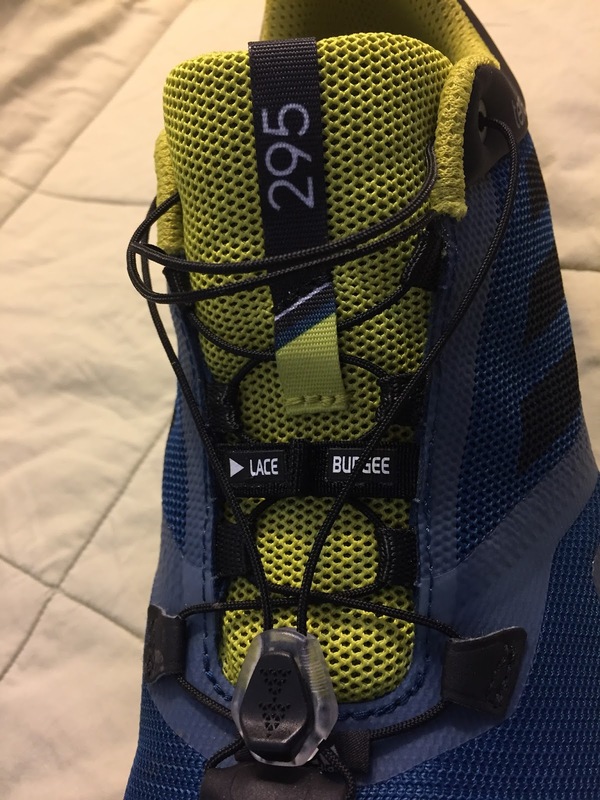 Although I like the lacing concept itself, I dont feel the foot is that securely locked. Still using them, altough with more caution especially on technical descends. Great review. Only missing is a verdict on its waterproofing. Thanks Anon. The Trailmaker we reviewed here was not the Gore Tex version, so can't comment directly, but through much experience with Gore Tex shoes, I would suspect the Trailmaker GTX would be adequately waterproof and in line with other Gore Tex shoes we have tested in regard to waterproofing. Thanks for reading.